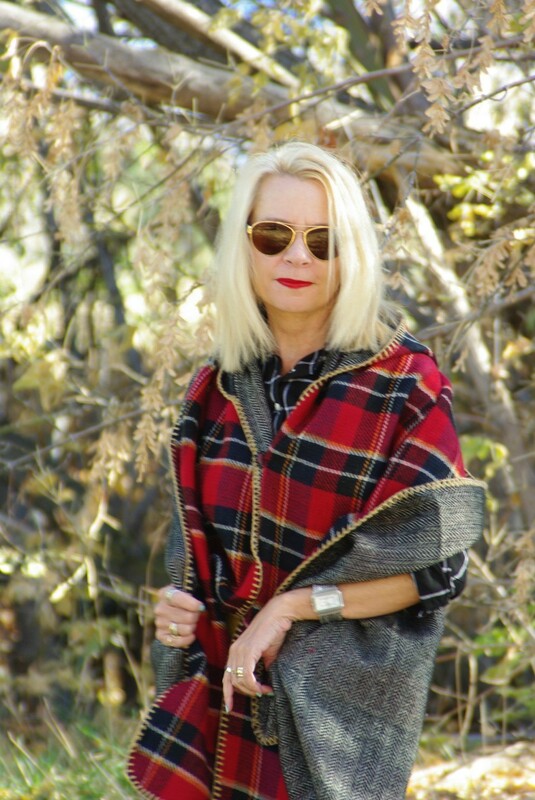 Mother Nature finally decided it was time to change the season which called for wrapping myself up in a warm, cuddly, soft cape. I don’t know about you, but I’m quite loving all the rage in capes. They’re not as bulky as a coat, yet just as warm. They can easily be dressed up when worn with a skirt (or dress). And casual enough to fit with your basic weekend wear. I’m sure some of you are familiar with this fabulous cape which is one of Nora’s from Jacket Society. When I saw her wearing this one day I immediately emailed her to order one for myself. I just knew it would fit in with my lifestyle and wardrobe needs. 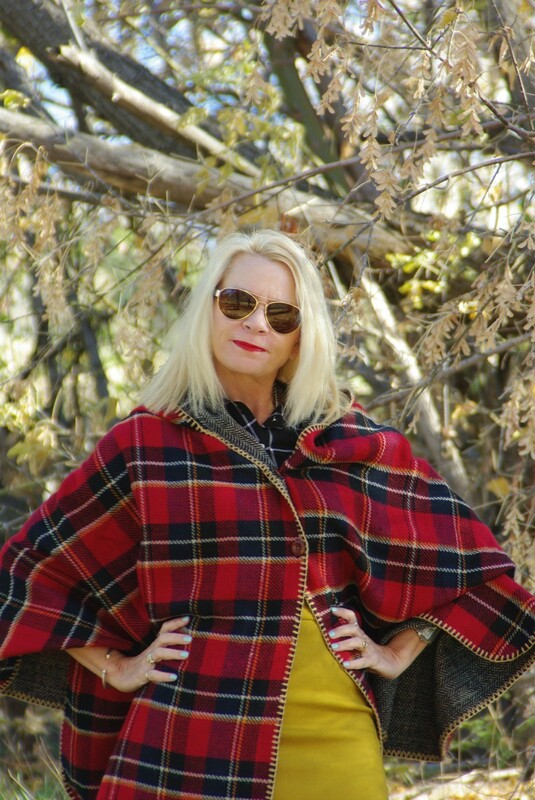 I was drawn to the reversibility of this cape, which by the way comes in different colors. In fact, I’m thinking my daughter might be getting either the herringbone/black or herringbone/pink for Christmas (oops, maybe shouldn’t have put that here). So, what do you think? Do I make for a modern, older version of Little Red Riding Hood? *Nora did not gift me with this cape, I just bought it all on my own and love everything about it. You look fabulous Trina! I love how you have styled it both ways. Will be sharing some pics on our social media tomorrow. Thank you so much!! Thank you my cute friend. Hugs right back to you. Love it, but I see you more as super girl with a plaid cape ! 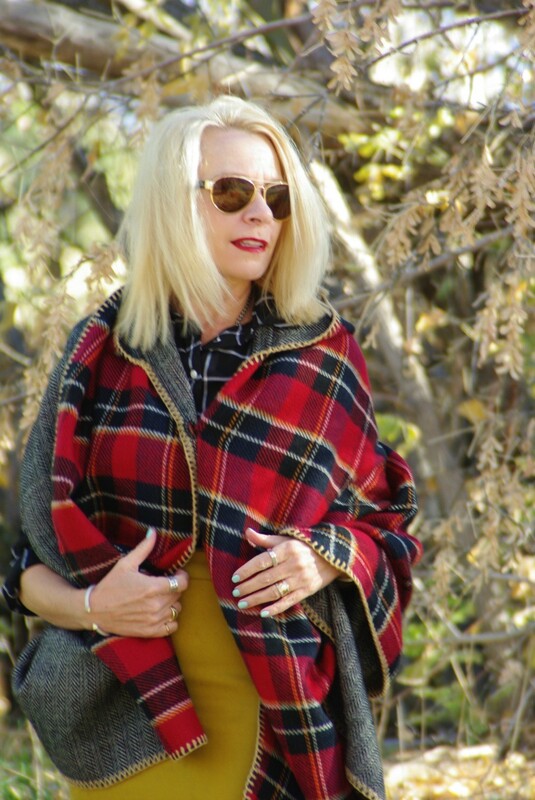 Adore this cape, a favorite mix of mine, in herringbone and plaid, plus you added tattersol in the background – divine. and the saffron, skirt, POW! Super Girl! I’ll take that them, haha. Capes are the best! They are like wearing snuggly blankets except socially acceptable. I see you as more hip and urban than Little Red Riding Hood, although clearly you are certainly talented when it comes to delivering yummy baskets of goodies to all your friends and family. Now you just sparked a great idea, I just need to go find a basket. I love the colors of this cape. 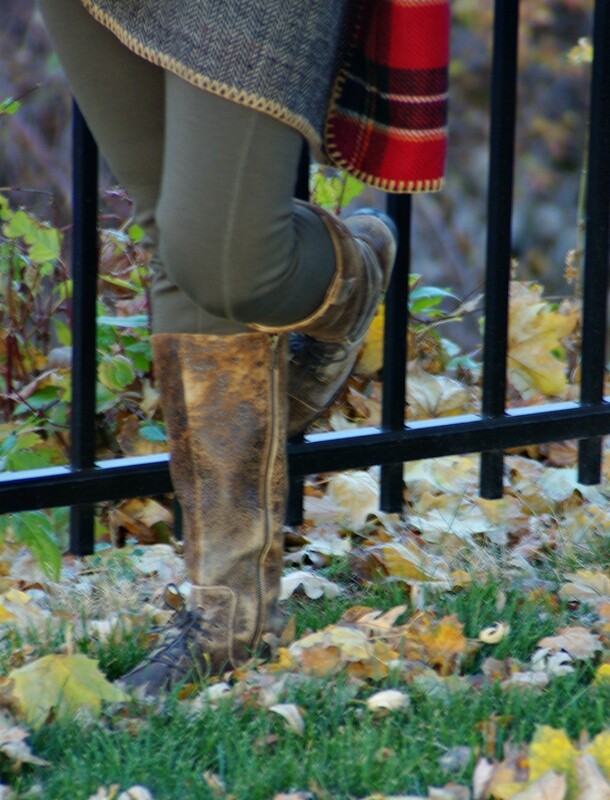 I really like the pairing of the yellow and the distressed boots with this. Thank you Alice, capes and wraps are becoming quite a staple in my wardrobe this year. Beautiful autumn look, the cap is a blast. Thank you, Josep-maria. I’m truly loving the cape rage. I have the same cape and love it! Thank you for dropping by, just finished visiting over at your site, love it! Ha, no you don’t look like an older and modern version of little red riding hood. Her cape was a solid red and longer. Nevertheless it is a cute cape. Personally I would only wear it with casual wear, but hey.. that’s just me. I ordered the wrap in herringbone and pink from Jacket Society. I can recommend that too. 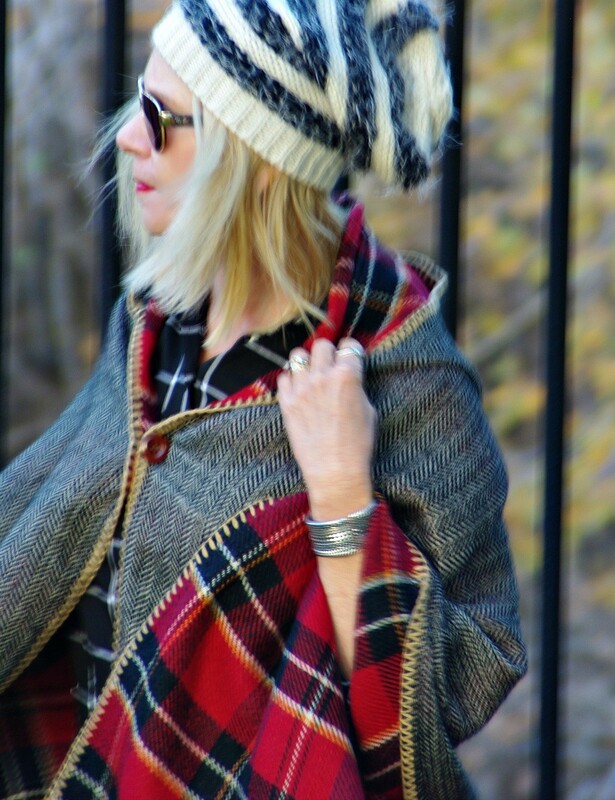 Love this pretty cape on you, Trina! You styled it perfectly!